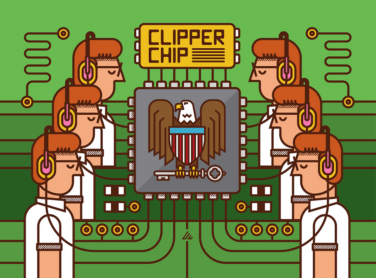 On April 16, 1993, the White House announced the Clipper chip to secure communication devices like crypto phones, which protect calls from interception by using algorithms and cryptographic keys to encrypt and decrypt the signals. Here’s what happened next. Read about the first computer virus that preceded computer networks, called the Creeper. German mathematician John von Neumann (famous for major contributions to economics, such as game theory) first theorized the concept in the late 1940s. He envisioned a computer virus as an automatically self-replicating entity. But it was another 30 years before someone created one. Read about the MITRE ATT&CK model, which focuses on prioritizing your defense against documented threat behavior, so that you can understand, prevent, and mitigate cyber threats and attacks. Learn what an insider threat is and how they can hurt an organization, as well as best practices for preventing damage to your company from this common problem. Learn the latest best practices for organizing and managing a Computer Security Incident Response Team (CSIRT). The Exabeam 2018 Cybersecurity Professionals Salary and Job Report has great news for new college graduates—working in cybersecurity can lead to a career that you really enjoy, with a high salary and job security.